Monello, which translates to an endearing reference to a “naughty little boy” in Italian, offers a“100 percent honest Italian” menu, which celebrates Northern Italian street foods and Milan’s glamorous aperitivo culture. Featuring expertly-crafted cocktails and complimentary “tastes from the cook,” the restaurant offers breakfast, lunch, dinner and weekend brunch. 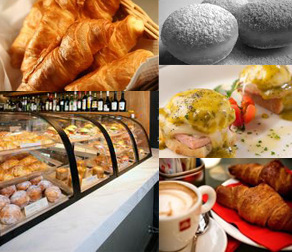 The menu spans polenta dishes; homemade spaghetti; flatbreads; pizza; roasted meats and seafood; seasonal vegetables; gelato, sorbet and baked desserts; along with fresh baked breads and pastries. Breakfast is now served daily from 8:30 a.m. to 11 a.m. spotlighting “Colazione”, an authentic Italian breakfast available for sit-down or to-go. 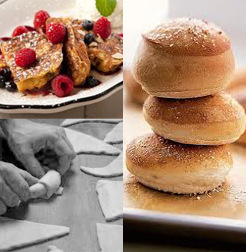 The menu features house made pastries, breads and jams along with Panini al Latte, semi-sweet mini roll filled with prosciutto, fontina, frittata and mozzella; “grandma style” apple muffins; Italian style grilled cheese; Cornetti, stuffed croissants and Bomboloni, a filled Italian fried sweet dough. On weekends, guests may enjoy Monello’s Farmer’s Market Brunch from 10 a.m. to 3 p.m. featuring locally sourced items from the neighborhood Little Italy Mercato Farmers’ Market. To top off the well-rounded menu, guests at Monello can choose to savor morning cocktail options including a Rossini made with Prosecco and strawberry basil puree, an array of local and Italian beers, a selection of decanted tap wines and more.